This week I would like to start to talk about some of the various adhesives that we use here in the shoppe for our papercrafts: Scrapbooking and Card Making. We will be going over this the next few weeks. This week we are talking about the glues that help with smaller and intricate items. Also there is are sheet adhesive products that contains mini dots all over it and you lift the cover sheet, lay you piece you want to add adhesive to on it, lay the cover sheet over and rub to put the adhesive on your piece. Please be advised this is quite permanent so you will want to be sure you are certain where you want to place your piece. 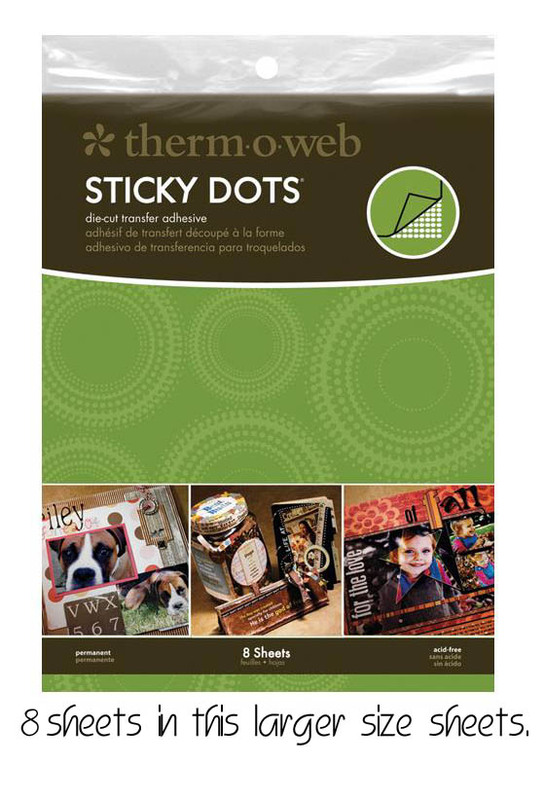 This product comes in two sizes, one that is easier to handle and a larger sheet for larger delicate projects but definitely can be cut to a size to handle easier. Next week we will continue on the adhesive thoughts and hope you will have learned something about different adhesives over the next few weeks. We carry the products in the shoppe that we will be sharing about with you. 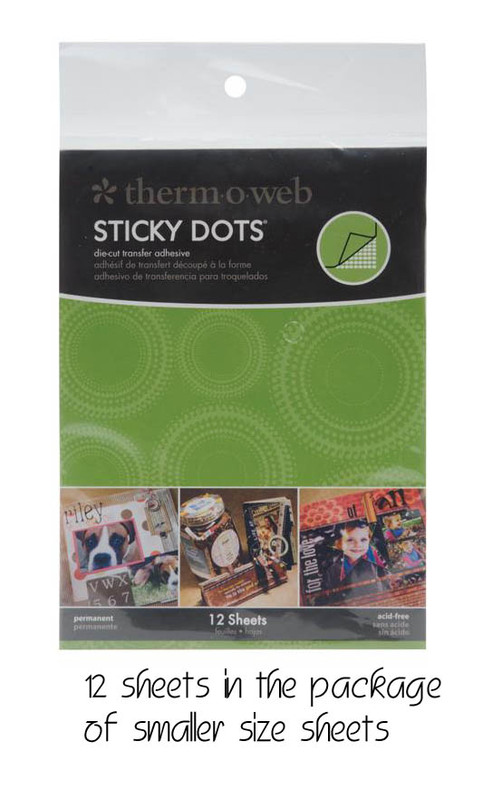 love love those sheets of Sticky dots!! As first commenter on this post you win a glue pen!!! Congratulations!!! This Naomi's lucky day!!! She won a glue pen!! I'm slow this week! 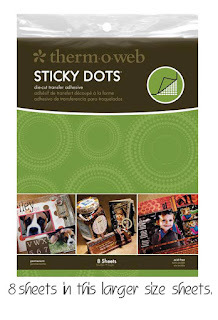 Naomi introduced me to Sticky Dots ... they are wonderful! Isn't nice we share what we find with others!!! I must save up I need a huge roll of foam tape !!! didn't know could get such a big amount ! !